If you’re the type of slot player, who strives to find an online casino that’s just a little different. Slingo casino could fit the bill. You get a wide range of games to play, also a chance to try a new type of game. You can play on their mobile-friendly site as well as the traditional online version. 100% Deposit Match and 50 Bonus Spins!! Gem Rocks offers a massive pay line system of 4,096 ways to win! If it’s a polished and professional look you’re after, Slingo.com delivers the goods. The home page is colourful, and easy on the eye. You get links to all the info such as the mobile casino and slots. Slingo Casino is licensed by the UK Gambling Commission and is owned and operated by Gaming Realms. That may not be a name you’re familiar with, but don’t let that worry you. They’ve managed to get a good mix of slot games to pack out their site, including many from Microgaming and NetEnt. Y ou can play on a range of devices. The mobile casino has been well-designed to provide easy access and great playability. But if you’d prefer the desktop version, you’ll still find it an equally great experience. You can adjust your viewing window size to half-screen, and the site adjusts to accommodate it. That’s great if you are playing a game and have something else to do on your computer at the same time. Slingo is a new style of game that combines slots with bingo, hence the quirky name. The site currently has two Slingo-based games to try – Slingo Riches and Slingo Extreme. As you might guess the game takes on the appearance of a bingo card. The reels sit below this, and the idea is to spin them and find the numbers you need to cross off on your card. The good thing is some of the first spins you make in the game are free. But of course, this won’t be the case the whole way through. It might take a little getting used to, but we think this game combo works really well. Elsewhere at Slingo.com, you can find dozens of more traditional slot games. Add in a handful of table games as well. All this and you’ve got a great mix for a successful site. Slots at Slingo Casino include Slingo Riches and Slingo Extreme – two games you’ll be hard-pushed to play elsewhere. Among the most recent games to be added are Siberian Storm, Zeus III and Golden Goddess. Of course you can expect others to be added over time as well. 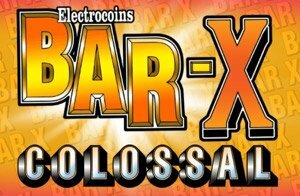 Aloha Cluster Pays, Spartacus Gladiator of Rome, Dragon Dance, Lucky Koi, Fantasini Master of Mystery and Drive Multiplier Mayhem represent some of the latest online slots at Slingo. Brought to us by Gaming Realms, a company specialising in mobile games. It’s no wonder then that Slingo is mobile-friendly in itself. They won the Players’ Choice Awards 2013 title for the Best Boutique Bingo Site. And shortlisted for two other awards that same year. They were also finalists for two other awards at the WhichBingo Awards in 2015. You’ll find a good range of NetEnt games on the site. Along with games from Microgaming – arguably two of the best producers on the internet today. Support couldn’t be simpler: Click on the help button at the bottom of the page and a ‘How can we help?’ A box pops up for you to use. There is also a contact page with all the info you could want, including a live chat option, an email address and a phone number. The information also states that the team is available seven days a week. The banking services are good as well. Secure payments are guaranteed as the site is set up with SSL transaction software. They also accept Mastercard, Visa, Visa debit and Maestro payments. So you’ll undoubtedly find it straightforward to manage your deposits and withdrawals. We have learned from other sources; withdrawal times are said to be among the best online at the moment, which is good news. Slingo Casino is a little different from most online casinos out there today, simply for the addition of the two Slingo-based games. No doubt these will win plenty of fans, but it’s good to see there are lots of other games available as well. The whole site is very glossy and appealing, and while the promotions may not be plentiful, the ones they do have are geared up to benefit new players. If you’ve never tried Slingo before and you want to see how bingo could pair up with a slot game, now is your chance to find out.